On Tuesday, the government published Stephen Shaw’s long-awaited second review into UK immigration detention. Shaw began conducting his second review in August of last year and his findings have now been made public. “I think every one of the centre managers told me that they had seen no difference in the number of vulnerable detainees (and, in some cases, that the numbers had actually increased)” – Second Shaw Review, p.viii. In response to the release of his review, the Home Office have now made four key commitments. Vulnerable women “will get a programme of care and support in the community” instead of being detained in Yarl’s Wood. The ‘Alternatives to Detention’ scheme will be designed by the UK Home Office and the UN Refugee Agency. The Home Office has committed to “looking again” at improving Rule35 reports on vulnerability, as the Shaw review described the ‘Adults at Risk’ policy as “Work in Progress”. The Shaw review focuses on a greater need for transparency around immigration detention, and Home Secretary Sajid Javid has committed to the publication of more transparency data. Javid has said he wants a new drive to improve “dignity in detention”. Javid specifically mentioned modernising toilet facilities, immediately ending the practice of detaining three people in a room designed for two, and introducing Skype calls for detainees and their families. During the discussion, SNP MP David Linden said that “it is totally unacceptable […] that the government has waited until the final few hours of this parliamentary term before releasing the new Shaw report and its response”. Linden called on Javid to commit to a parliamentary debate on immigration detention after parliament returns in autumn. René Cassin have long campaigned for reform of the UK detention system. We welcome the use of alternatives to detention for women currently detained in Yarl’s Wood and hope that this model will be expanded to include the thousands of others who are also locked up for immigration purposes elsewhere. It is also imperative that a time limit is introduced – the UK is the only country in Europe to lock people up indefinitely. 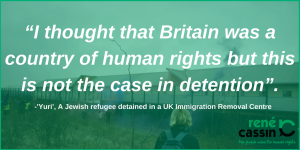 Having recently interviewed ‘Yuri’, who came to the UK seeking asylum after fleeing anti-Semitic persecution but was then locked up in one of Britain’s immigration detention centres, it is clear that the dignity of detainees is not upheld. On a visit to hospital, Yuri was handcuffed and had his legs tied together. “I thought that Britain was a country of human rights but this is not the case in detention”. Read Yuri’s story. “Migration and seeking asylum are central to the Jewish experience, and we have both a legal and moral obligation to ensure the human rights of those detained are upheld. While Sajid Javid has stated that the government will introduce “a new drive on dignity in detention”, no-one should have had their dignity denied in the first place. Given the mounting pressure to overturn the ‘hostile environment’ policy, we hope that these reforms are the start of a process to create a more humane immigration policy and end indefinite detention”. Detention Forum, of which René Cassin is a member, have also issued a response to the Home Secretary’s statement on the review. 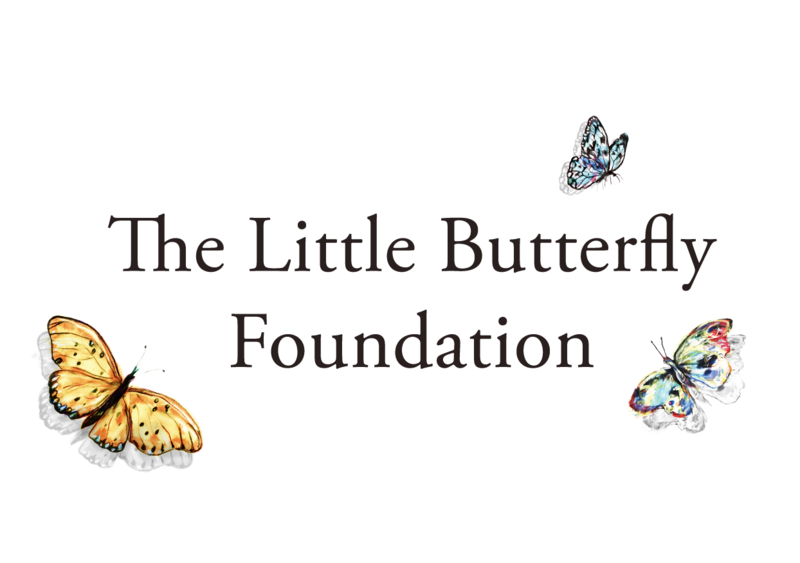 The response addresses Javid’s announcement of an internal policy review of a time limit, and the promised ‘Alternatives to Detention’ project for vulnerable women. The first Shaw report, which was published January 2016, called on the Home Office to detain fewer people for less time, and to widen the definition of vulnerable people who should not be detained in the first place. While the government’s response was mainly positive, there was a failure to accept the lived realities of those who experience immigration detention.